Dynamo on Sunday lost from last than placed Anzhi 0-4 with and six rounds before the end has eight points from leader Lokomotiv and is in fourth place in the standings. "After the match against Anzhi, Dinamo's management decided it was time to change coach. At today's meeting, which was also attended by Dan Petrescu, we told the players that we shared decision end the cooperation with the coach. We thank him for his work and wish him all best for the future, "said sports director of Dynamo Guram Adzhoev. 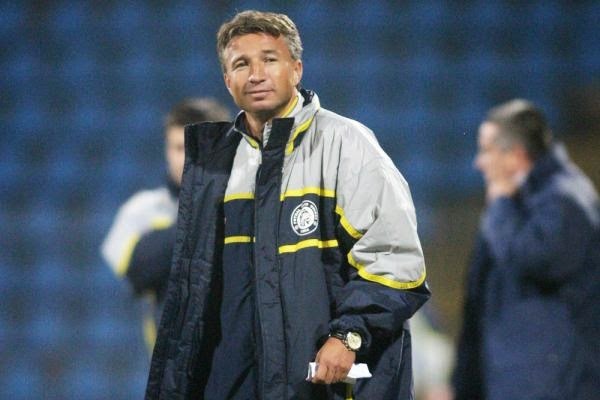 Petrescu took over Dynamo in August 2012th year and led the team to seventh place in the standings last season, which is why Dynamo did not play in the League of Europe. "Dan has helped us to draw team from a difficult situation, but lately we have seen that the team progressed, and we need to go forward," said sporting director of the Moscow club. Adzhoev pointed out that the team will temporarily lead assistant coach Nikolai Kovardajev, and the involvement of negotiating with Amkar coach Stanislav Cherchesov. "We are negotiating with Cherchesov and I hope that in the near future we will be able to introduce him as the new coach of Dynamo" said Adzhoev. Amkar is currently seventh in the standings of the Russian league as the club are considered success because of the limited budget.